Dr. Martin Luther King Jr. was a man with big dreams who made deep and abiding changes. He left a lasting legacy that consisted to changing minds through non-violence and modeling the right words and actions. At Mt. Healthy South Elementary, students and staff are “Making the Change and Dreaming Big” that celebrates Dr. Martin Luther King Jr. 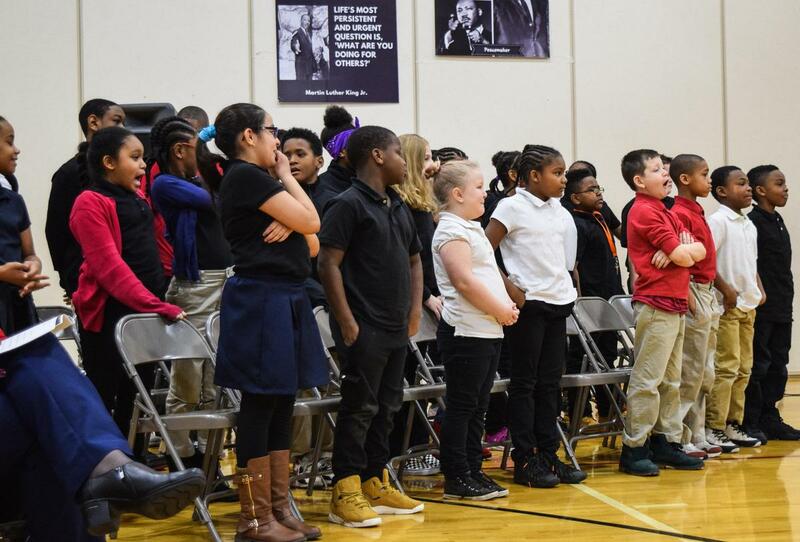 Through the teaching and guidance of Mrs. Amber Harris-Reed, South Elementary students presented “Make That Change and Dream Big” Celebration of Dr. King’s life and message on Friday, January 18, 2019. 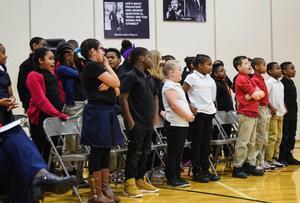 There was an opening video “MLK- Man in the Mirror Tribute” and the Dream Presentation by fourth through sixth grade students where they read a poem, which was a combined musical and spoken-word performance using Dr. King’s words to honor him. They watched a video by Kid President talking about Dr. King and his dream. Then they were honored by Dr. Reva Cosby, Mt. Healthy City Schools Superintendent, as she shared the stories and dreams that came true of three well-known women, including herself. Shia Stearns performed an interpretative dance as Mrs. Harris-Reed sang “Up the Mountain“ by Patty Griffin. 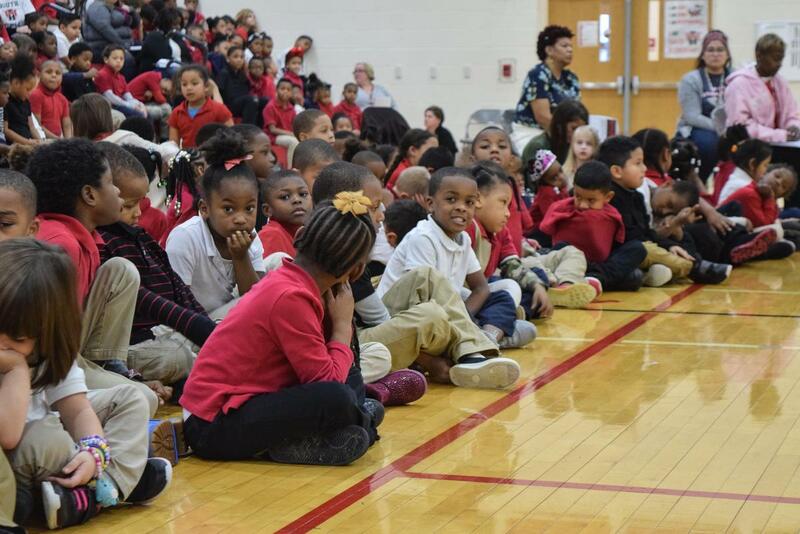 During the Kindergarten through third grade performance, students also presented “We Can Be Like Martin”, a poem describing the importance of following in Dr. King’s footsteps. They also sang “Sing About Martin” together, telling of some of his great accomplishments. In addition, Dr. Cosby talked with them about former President Barrack Obama and his dreams of becoming the first African-American President of the United States. Mt. Healthy South students participated in the songs and poetry and intently listened to Dr. Cosby’s words to honor Dr. King.